These days, surfing the net involves more than simply navigating various web pages. We now use the net to share information, keep in contact with our friends, search for solutions to problems and get updates on news and information. So we as internet users have evolved over the years and so too has the internet browser. The rapid growth of social media in the internet sphere has spurred the development of “Social Browsers” which aim to improve your web browsing experience by incorporating social media into the mix. These Social Browsers are still in the early stages of development, but they are a great step forward into creating browsers that work around us and the way we use the web. I’ve had a play with a few of them and have found some of their features to be quite handy. They definitely make it easier and faster for you to be social online. I’m going to talk briefly about a few Social Browsers that have grown in popularity recently: RockMelt, Flock and Fizzik. This is just the beginning, I’m looking forward to what they come up with in the future. Rockmelt is still in private beta but you can apply for an invite on their website. As one of the newest Social Browsers it integrates Facebook, Twitter and many other social media services right into your browser. Once you login to Facebook you can see all of your friends listed down the left hand side of the browser window and you can chat with them from the browser itself. On the right hand side you have your Facebook news feed, twitter feed along with any other RSS feeds you have subscribed to making it easy to keep up to date with the latest news. The search box is quick and easy to use and it actually lists the search results as a drop down when you do a search. This helps you avoid opening up new search pages when you don’t really need to, making browsing faster and more intuitive. 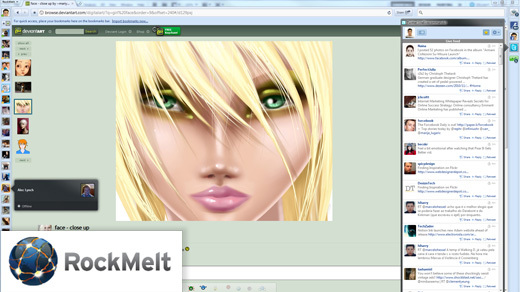 RockMelt is built on Google’s Chromium platform, so it’s pretty fast too. I really enjoyed using it, why not give it a try? Flock is another Social Browser which has gone for the simple approach of adding a side bar to the right hand side of the browser window. News feeds from multiple social networks are displayed in this sidebar to make it very easy to stay up to date with the latest news and updates from your friends. You can also share and chat with your friends very quickly and easily too using the sidebar. Also built on the Chromium browser platform, the Flock browser basically feels a bit like Google Chrome browser with a social feed plugin added to the right hand side. It’s a nice browser but I feel that rather than creating an entirely new browser they could have just built a plugin to add to Google’s Chrome browser. Download Flock and see for yourself. After watching the painfully long intro video on their website I finally downloaded Fizzik and had a play. Fizzik has taken a different approach to its user interface design. The address bar is actually located at the bottom of the browser window, unlike most browsers which have it at the top. I think it might take me a while to get used to having the address bar at the bottom of the window though. They have gone with a left side column to display news feeds and status updates from friends. When you click on a news feed item, any links, images or video will automatically be opened up in the browser window. This is quite handy as it saves you having to click the link yourself and makes reading news and friends updates much faster. Check out Fizzik and let me know what you think. Which social browser is your favourite? After trying out RockMelt, Flock and Fizzik I have to say that I find RockMelt to have the best user experience. It looks good, it’s fast and efficient to use and most of all, you can tell that there has been some real thought put into the features and interface. I actually think that we have too many browsers out there already, testing website’s cross browser compatibility is already enough of a headache! Rather than creating new browsers, perhaps these social media features could be added to existing browsers like Firefox and Chrome as plugins instead? Is this the beginning of the rule of Social Browsers, or will they fade away just as quickly as they appeared? 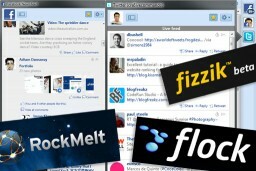 Great Article, I have been wondering about RockMelt as I use Seesmic Desktop 2 for my Social Interaction. How does it compare to something like that? You don’t need a whole browser to incorporate social media. 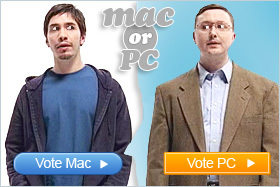 I think the browsers of the future are the browsers of today, Firefox, Safari and the gang. With browser extensions like Marginize, you can bring in the social media without changing browser platforms! 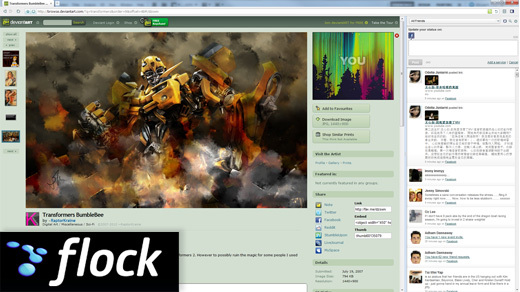 @GrayW – Seesmic Desktop looks like a great way to handle your social media networks. I think it has more functionality than Rockmelt does. I guess Rockmelt and these other social browsers are trying to keep everything in the same window, eliminating the need to jump between desktop and browser. I agree with @rob, at this stage the social media browsers have basically taken a current browser and added some social features to it. I think it would be a better solution to improve social browser plugins like “Marginize” and use them to build the functionality of current browsers. Good post mate, i agree, tried flock, however Rock Melt seemed to be that bit slicker. a browser in the interest of most among social networking ..
steady for the life ..